I have made it a practice of being pretty particular about doing product reviews. If the product (or service) is something that I find useful and easily integrated in to the lives of dads and/or their families, then I usually consider it. Well, being one that’s fond of artistic endeavors, and having a wife that likes to use photography in decorating, I have a little recommendation for you. Easy Canvas Prints is a site that contacted me about reviewing a printed canvas for them. As you can see by visiting their site, they specialize in converting non-copyrighted electronic photos in to truly beautiful canvas prints. 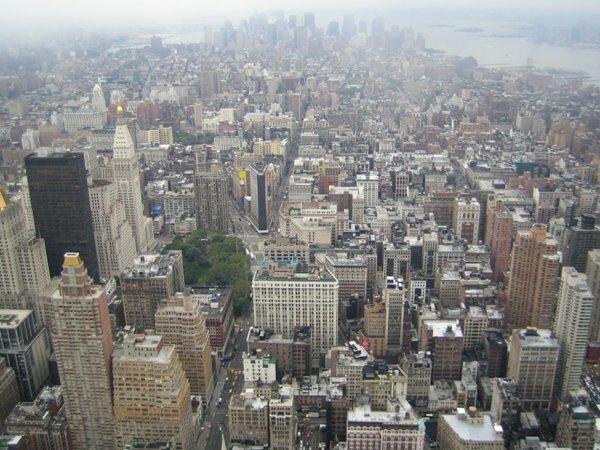 The photo that I had printed (which is in this post) is one that I took on top of the Empire State Building during a trip to New York City in 2005. Beyond this, they have an unbelievable selection of canvas art prints available for purchase as well. Whether you’re in to cityscapes or smiling zebras, they can easily accommodate you. Specifically, there were two things that really inspired me to share their product and service offerings with you. First, the process is crazy easy…so much so that its convenience makes the pricing very attractive. Second, the site is extremely versatile in its offerings. You can search through pages of their art or get a cherished personal photo transformed in to a very nice looking piece. You can also tweak the look by adding to the depth of the canvas and altering the special effects on the wrapped edges. And, the canvas sizes give you the option to occupy any size wall space. As a dad, this would work great for everything from family photos to sports stills that you took at a child’s sporting event. The bottom line is that if you are one who likes art, you would be hard pressed to find an easier, more adept purchasing experience than at Easy Canvas Prints. I promise…you won’t be disappointed!